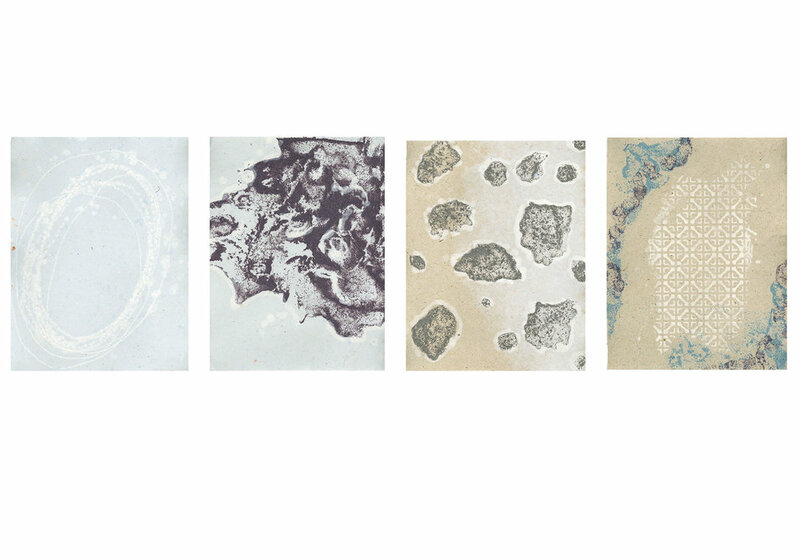 A recent collaboration between artists Lindsey Beal and May Babcock focuses on experimental integration of alternative photographic processes and creative papermaking techniques. 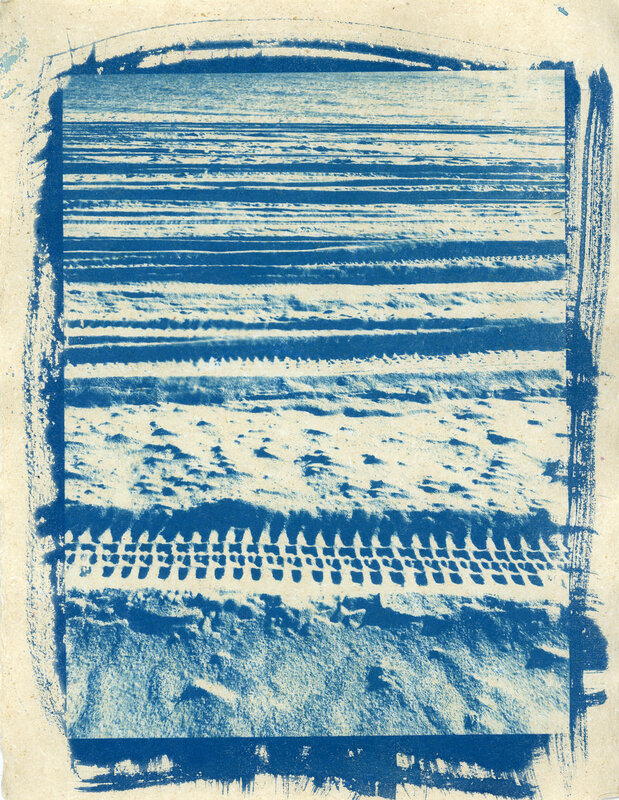 Cyanotypes are layered on 'pulptypes' and stenciled pulp paintings, with a broad range of imagery that includes organic and man-made patterns and landscapes. 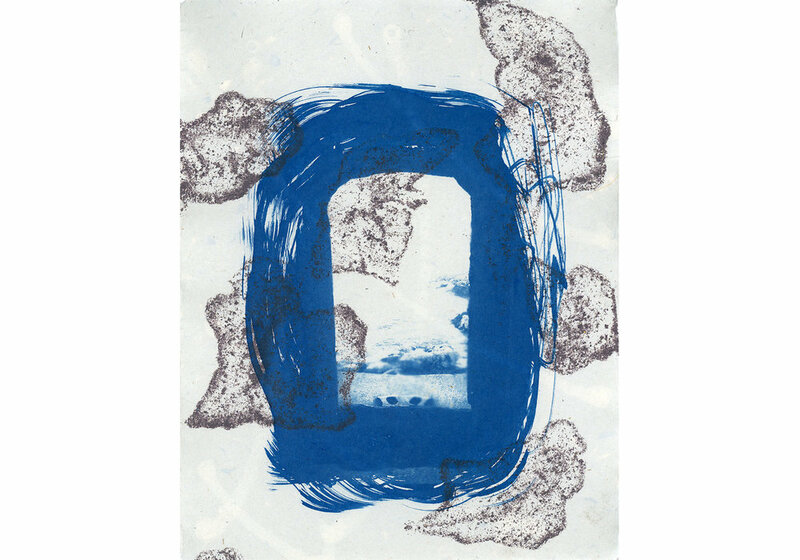 Pulptype is a printerly approach to papermaking where finely beaten pulps are 'printed', resulting in works that resemble monotype prints. 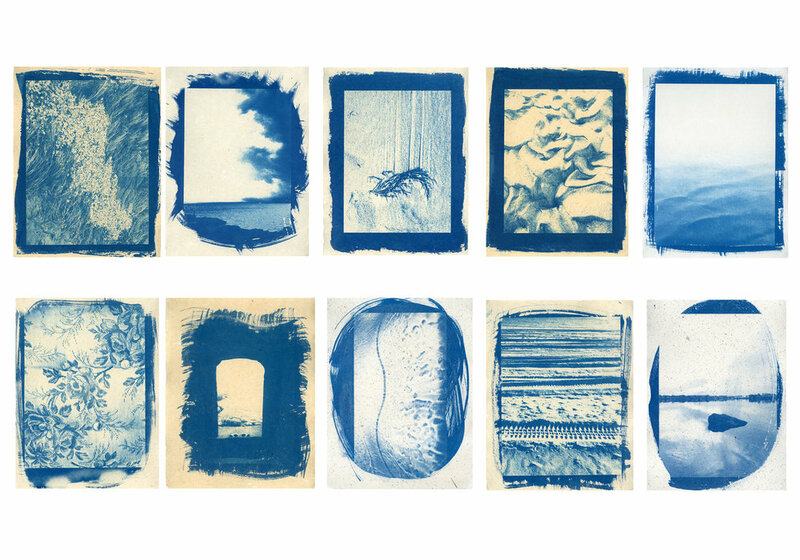 The handmade papers are coated with cyanotype chemistry and printed with photographic imagery. Lamina is the result--a group of over 30 unique artworks, ranging from dense layers of pulp and pattern, to elegantly simple images.